Myth #1: Repricers only lower prices. Fact: Sometimes I feel like “repricing” is a 4-letter word for many Amazon sellers. At it’s core, repricing isn’t anything sinister or scary. 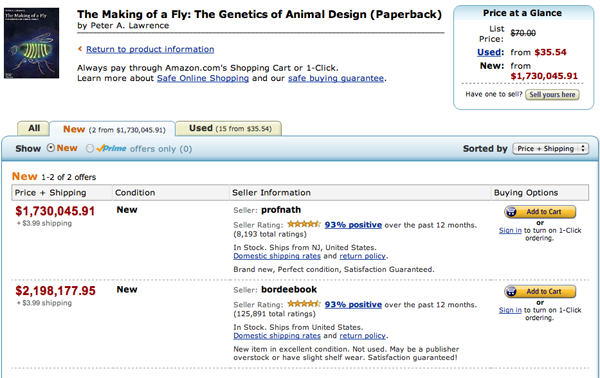 It’s just the simple act of adjusting your price on an Amazon offer. Of course, when most sellers talk about “repricing” or “repricers” they mean automated tools, like Sellery or SellerEngine Plus. Imagine if you made an extra 15% profit on every sale. And what would your bottom line look like if you were able to make 10 more sales per day? You can do this by lowering prices a few pennies and then raising prices again, as the competitive landscape evolves. That’s just a taste of what’s possible by using automated repricingIt’s the practice of controlling and c... More software! Repricing software helps you to maximize the value of each sale and it helps you make sales that you didn’t even know you were missing. Myth #2: I don’t have enough SKUs to bother with repricing software. Fact: If you’re spending time, every day or even every week, tinkering with your items’ prices, that is time that can be better spent scouting for inventory or doing something else to grow your business. And on top of the time you’ll save, with the right repricing rules, you’ll be making more money by using repricing software. With the right software, you’ll be able to reprice around the clock, even when you’re sleeping or on vacation. And over time, as you grow your Amazon businessAmazon Business is Amazon’s wholesale ... More, you’ll be glad that you set up your automatic repricing software sooner, rather than later! Myth #3: Repricers can make sellers lose money. Fact: The truth is that repricing software that isn’t configured properly can result in errors that cause you to lose money. 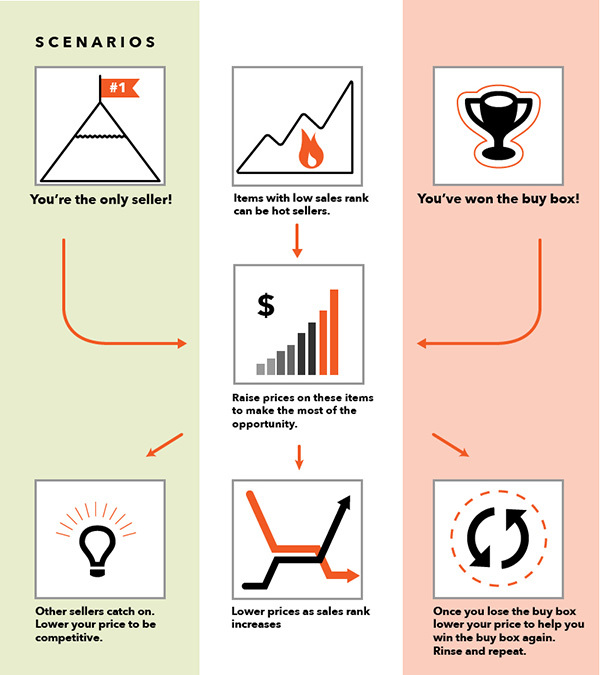 But in our experience, sellers who manually reprice their items can cause lost profits as well. How many times have you heard about a seller accidentally selling an item for $1.00 instead of $100? It’s just a little typo, but the costs to your business can be huge. Sellery uses your cost, estimated shipping, Amazon fees and more to calculate a minimum price unique to each item. It acts as a lower limit that Sellery won’t price lower than, unless you specifically tell it to. And while that might seem funny, remember that if a buyer came long looking to buy that book, the seller missed out on a sale. Using an automatic repricer that had an upper limit of 20 times the item’s original cost (or any other value) might’ve made the seller $100- $200 or even more. Remember, a price that’s too high can be nearly as dangerous as one that’s too low. Myth #4: I like to be in control and repricers do too much automatically. Fact: Even automated repricing software programs like SellerEngine Plus and Sellery require you to take time to set them up. You’ll input your item costs, set upper and lower limits for your prices and create repricing rules specific to your business. These are the keys to successfully using repricing software. In the time that it takes you to manually reprice all of your SKUs, you can talk to a member of the SellerEngine Help Team. Tell them about your business, let them know your unique needs and learn how to set up pricing rules, strategies and schemas to reprice listings exactly the way you want them. Myth #5: Repricers are why penny books exist. Fact: Penny books are caused by a number of factors. The biggest is competition. If there are 100 sellers out there all trying to sell the same Stephen King book, you better believe that some of them are going to cut their prices to make sales. Some sellers of penny books will have warehouses big enough to let them make a few cents on a book (by cutting costs on shipping and packaging) as long as they can do it a few hundred (or a few thousand) times a day. Then there are sellers who use penny books as a way to build up positive feedbackA performance rating on a scale of 1 to ... More, accepting a small loss as the cost of getting good feedbackA performance rating on a scale of 1 to ... More, which can be valuable over the long run as they sell items with higher returns and risks. Penny books may also be sold by sellers who use their sales to market their own websites or other products to their buyers. And then, don’t discount the sellers who just don’t know or care that they’re losing money, for whatever reason. As one of the most knowledgable Amazon sellers I know says, “Not everyone is selling on Amazon for the same reason that you are.” You can’t know their motives or business just by seeing a paperback being sold for $.01. Just like every tool that you use to run your Amazon businessAmazon Business is Amazon’s wholesale ... More, from a pair of scissors to your laser printer, an automated repricer should make your life easier and should add value. Remember that all automatic repricing software isn’t created equal. Repricing software is an investment of time and money and like any investment in your business, do your research. Find software that you’re comfortable with and commit the time needed to learn how to get the most out of it. If you’re interested in learning more about SellerEngine Plus or Sellery, email support@sellerengine.com to learn how you can take our automated repricingIt’s the practice of controlling and c... More software for a spin. Interesting article. The headline alone was an immediate head-jerker as I couldn’t pull up the page fast enough to read. Great information and bullet points. Thanks for the read! Is there a maximum number of items you can reprice in a certain time frame. Won’t amazon server block you out for over use? When you use software like Sellery or SellerEngine Plus, you’re accessing Amazon through an API they provide. That means they won’t lock you out for overuse. You’re just limited by the speed in which you can make calls and get a response. For repricing, you’re talking about 5,000-10,000 items per hour. However, there’s a second Amazon API that Sellery uses that lets you reprice in response to the actions of your competitors. Then you’re essentially repricing in real-time. Let me know if that makes sense! 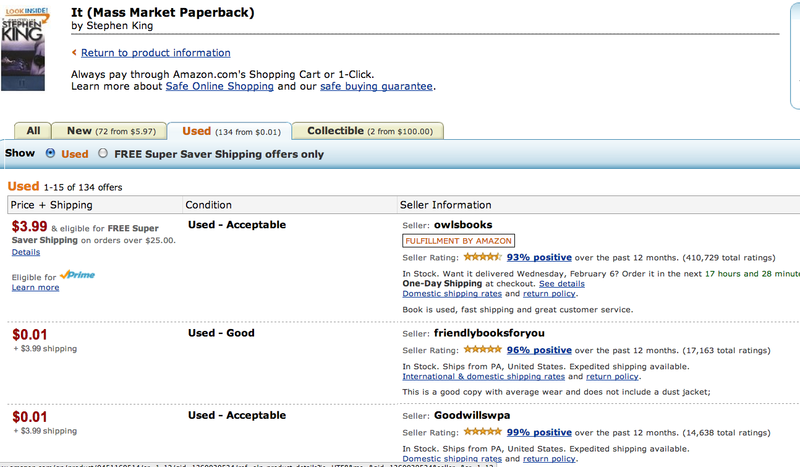 So if you have say 80,000 book SKUs, Sellery takes about 8 hours to reprice your catalog? Thank you for sending your question! With its Real Time Repricing feature, Sellery will reprice your items every time there is a change in market conditions. So if your competitors change their prices, your prices will change as well based on your pricing strategy, without having to wait for several hours. Here’s an article we wrote and where we explain this mechanism in more detail: https://sellerengine.com/the-magic-of-real-time-repricing/. Please let us know if you have other questions and I’ll be happy to answer them. If you would like to see how Sellery works for your Amazon inventory, you can definitely sign up for the free trial (https://sellery.sellerengine.com/signup) and we’ll be in touch to answer your questions and help you set up Selelry according to your business needs.